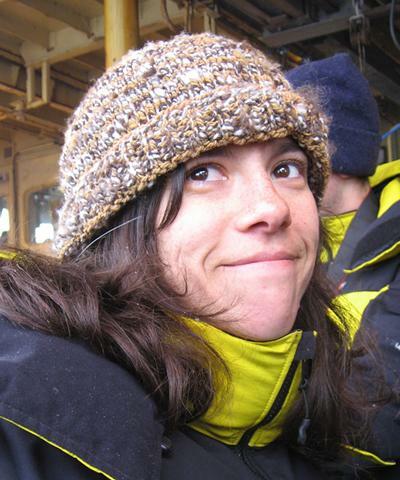 Laura Herraiz-Borreguero is a Marie Curie Research Fellow at the University of Southampton, UK. Her research has evolved from open ocean/large scale physical processes in the ocean to polar oceanography and Ice shelf-ocean interactions. Laura received her PhD in physical oceanography in 2009 for her studies at the University of Tasmania and CSIRO Marine and Atmospheric Laboratories, Hobart, Australia. Her thesis addressed the drivers of temporal and spatial variability of Southern Ocean Mode Waters, revealing “hot spots” where these Mode Water transport heat, oxygen, carbon and nutrients to the ocean interior. From 2010 to 2013 Laura was a Postdoctoral Research Fellow at the Antarctic Climate and Ecosystems CRC in Hobart, Tasmania. She led several papers on the coupling of the ocean with the Amery Ice Shelf, East Antarctica. This work used a unique set of observations from boreholes drilled through the ice shelf by the Australian Antarctic Division's AMISOR project. From 2014 to 2016 Laura moved to Denmark for a Postdoc at the Centre for Ice and Climate in Copenhagen. Funded by the European Project Ice2Ice, Laura and her colleagues focused on ocean circulation changes during past abrupt climate variations in the North Atlantic. Laura’s research interests also include using noble gases to study the impact of melt freshwater on Antarctic Bottom Water formation in East Antarctica, and to combining physical oceanography and biogeochemistry to assess the iron fertilization potential of the Antarctic ice shelves.